Nipsey Hussle developed a reputation as a person who helped those in need and uplifted his community, and now that the suspected shooter responsible for his murder has been captured, new reports about what happened that fateful day he lost his life are surfacing. TMZ claims that Nipsey was in the middle of doing yet another good deed by helping a friend when he was gun downed in front of his Los Angeles store. According to TMZ's report, Nipsey's friend was recently released from prison and the rapper was helping him get settled. Their sources say that Nipsey had taken his unnamed friend to the Marathon clothing store to get him some new 'fits before the ex-con was to meet up with his friends and family later on in the day. TMZ states that the friend had just completed a 20-year bid behind bars. 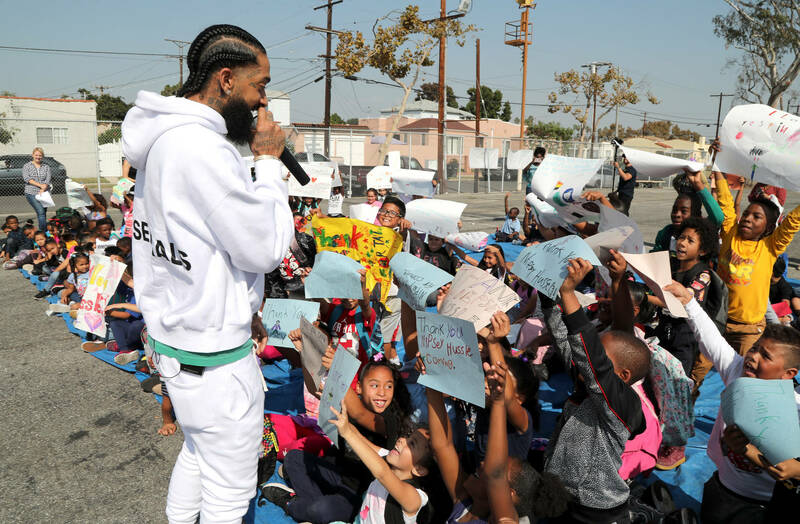 Their report further claims that Nipsey didn't alert his team or security to let them know that he planned on going to the store by himself because it was a last minute decision. They say no one in his circle knew that he wasn't even home. Nipsey wasn't the only person shot that day, but he was the only one who lost his life. Two others sustained gunshot wounds, including the alleged friend the rapper was helping. The third person shot was reportedly the friend's nephew who drove the recently released man to the Marathon store. Suspect Eric Holder was arrested yesterday after the getaway driver of the car he fled in confessed to being at the scene. Rest in peace, Nipsey.